Video: Jack White - "I'm Shakin"
The latest video from Jack White is for the single "I'm Shakin" off his debut solo album BLUNDERBUSS. 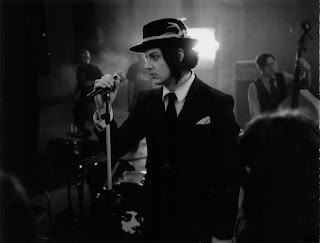 In this clip directed by Dori Oskowitz, we see Jack White facing off against, well, Jack White. It is a battle of the bands in this one, but the camera work is great. Also, along with the video, White will release a 7″ vinyl featuring “I’m Shakin’” and a B-side “Blues on Two Trees” on October 16th. Watch the video below and get the debut album here.